Here are all of the resources I’ve found for buying a Pai Sho set. Because sooner or later, you know that playing online just won’t be good enough! Standard sizes for Pai Sho sets are small (18-inch board, tiles about 1-inch) and large (roughly 24-inch board, tiles about 1.25-inch). This means that large tiles do not fit on a small board. There are different Pai Sho games, and each game uses a different set of tiles. They are completely different games that are played on the same board. If you aren’t familiar with them, try them out at The Garden Gate – SkudPaiSho.com! Download this free print-and-play Pai Sho set to create your own Pai Sho set! It includes a board and Skud Pai Sho tiles. Print it as it is to get a large Pai Sho board, or print it at 80% size to get a small Pai Sho board. Printing the board and mounting the pages onto a nice piece of cardboard with glue can give you a nice board! I sell laser-cut wooden Pai Sho boards and tiles. Buying a Pai Sho set from me directly supports the work I’ve done in creating Skud Pai Sho and The Garden Gate. Visit The Garden Gate Shop here. If any of the items I sell are not currently available in the shop, it means I am catching up on orders and they will be relisted in the future. I will announce items being relisted on Discord first. To join the Discord to get updates about the shop, or to get in touch with any questions, visit the Contact SkudPaiSho page. I aim to sell the best Pai Sho tiles available. I offer tiles for Skud, Vagabond, and Capture Pai Sho, as well as a set of Canon tiles that contains designs as close to what is shown in the show as possible. Skud Pai Sho sets have more tiles and cost more than the other smaller sets of tiles. White Lotus Initiate: I created the White Lotus Initiate tiles so that there was a great set of wooden Pai Sho tiles with an affordable price tag. They are made of plywood with the tile designs engraved in low-quality detail. There are no custom options to choose from for White Lotus Initiate tiles. White Lotus Master: The White Lotus Master tiles are made of hardwood with the tile designs engraved in high-quality detail. You can choose from a variety of solid hardwoods to create your own custom set of tiles. I aim to make these the best Pai Sho tiles of their kind available at a great price. Grand Lotus: The Grand Lotus tiles are Uncle Iroh’s personal Pai Sho tiles. Well… they’re as close as anyone will get. These are engraved in extremely high-quality detail and they are also available in exotic hardwoods like purpleheart and zebrawood. These tiles are a special item for those who are able to support the work I’ve done to create Skud Pai Sho and The Garden Gate. For pricing, see the Grand Lotus shop listing. I sell modular small-size Pai Sho boards available at The Garden Gate shop. Unlike the other boards that are available, these are made from different wood materials so that the colors of the board are differently colored all-natural woods. Take a look! The pieces of the board can be assembled and taken apart like puzzle pieces, making it easy to travel with. Aside from the free print-and-play set, the most affordable Skud Pai Sho set is available at The Game Crafter for $30 plus shipping. Many thanks to Pai Sho tile artist Hector Lowe for making this available! See the review for more pictures of it. There is also another Pai Sho set available from The Game Crafter, but I am not sure who has made this available, so I will call it the Stranger Pai Sho Set. It looks like a good option if you are interested in a full Wiki Pai Sho set or the older tile designs. The MimicsMakings shop on Etsy sells a classic-looking standard small-size (18″) Pai Sho board. The seller is a member of The Garden Gate community. Check it out! The IrohPaiSho shop on Etsy sells a classic-looking standard small-size 18″ Pai Sho board. If that classic look and solid feel is what you’re looking for, check it out! The NGrainedCustoms Pai Sho board is a beautiful small-size Pai Sho board that looks nice and sturdy… but at a ridiculous price. I would recommend looking at the JasmineQuasar board instead, which is a large board for a much lower price) or a more affordable small board. JasmineQuasar on Etsy sells a large Pai Sho board that looks incredible. If you asked me what Pai Sho board you should get, I would tell you to get this one! The Lyris Laser Studio Pai Sho board is a classic-looking board, but I would recommend looking into other options, especially the JasmineQuasar board. This board is roughly 1/4″ thick, made so you can mount it on a 24″ pine round yourself if you would like a thicker board. For the extra cost that would be, you could have gone with the JasmineQuasar board. The Pai Sho tiles available from EmoryDunn on Etsy are nice small-sized tiles and are available in a variety of different kinds of wood. If you are looking for a full Wiki Pai Sho set or the older tile designs as opposed to the modern tile designs available at The Garden Gate shop, I recommend these tiles. Lyris Laser Studio sells sets of large Pai Sho tiles. They offer a Skud Pai Sho set or a full Wiki Pai Sho set. Either way, it is a full two-player sets of tiles, with one set having the tile design engraved inverted to distinguish between the tiles. The quality of these tiles is similar to the quality of the White Lotus Initiate tiles from The Garden Gate shop, which are more affordable. Consider spending a little more to get some of the best Pai Sho tiles available – the large White Lotus Master tiles from The Garden Gate shop. Vagabond and Capture Pai Sho tiles are available from The Garden Gate shop in White Lotus Initiate, White Lotus Master, and Grand Lotus options. If something isn’t listed and you’re interested, contact me! 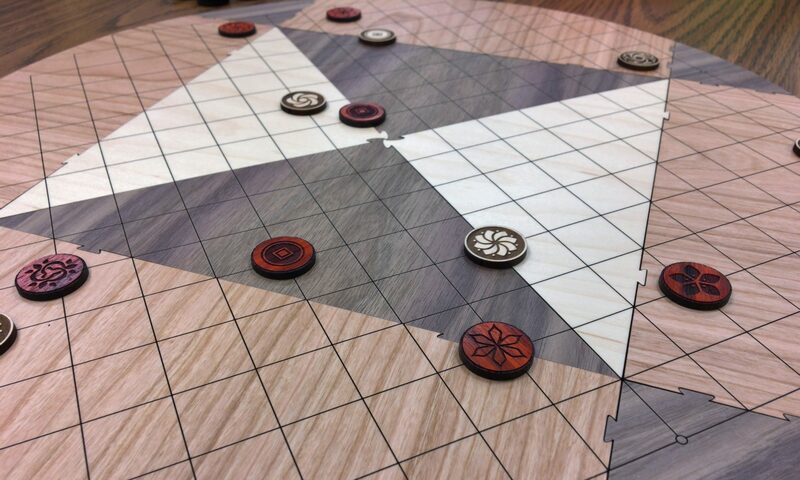 To play Street Pai Sho, you can use a 2-player Skud Pai Sho set with each player’s tiles in a different kind of wood. Just flip the tiles over! Solitaire Pai Sho is played with a 1-player or 2-player Skud Pai Sho set. Nick Pai Sho – The game available (in some locations only) on Nickelodeon’s website is referred to as Nick Pai Sho (read more at the Games page). There’s a Nick Pai Sho set available from NGrainedCustoms on Etsy. For a small set of tiles it is very expensive. If you would like tiles for Nick Pai Sho, I would recommend asking me instead.